It’s difficult to say anything that is not painful about the college admissions scandal, where Boston federal prosecutors already have a dozen wealthy parents, including actress Felicity Huffman, pleading guilty to fraud in helping their children get into elite colleges. Most painful (to me) are all the kids who should have been accepted on merit, but whose classroom seat was taken by those less worthy but rich. Painful, for those who got admitted when they shouldn’t have without even knowing it, and now have to face the consequences. Painful for the school administrations that trusted the corrupt coaches, and painful for the Athletic Directors who hired them; painful for the friends and families of the involved parents, who must confront their family member’s very public fraud and deceit. Painful even for the inequality of consequences sure to follow: the Manhattan star law firm partner defendant will surely lose his license to practice, along with his career and the lifetime of effort he spent building it, versus the Hollywood stars, who might even get role-playing themselves in the spin-off series that are likely already being scripted. There’s more than enough pain to go around here. Turn on the news: the defendants have already learned to loudly, publicly profess their guilt, their shame, and their remorse, some even before their pleas have been made in court. According to the federal Sentencing Guidelines, acceptance of responsibility is key to bringing down both the calculation of the Guideline “level” (and consequently, its corresponding range of prison terms), and any “variance,” that last little tweak a federal judge can make to drop the sentence below that guideline prison sentence, all the way to house arrest and probation. Well after the sentences are handed down and the media moves on to the next sensation, colleges and universities will have to face the challenge that goes beyond bad PR: putting controls in place to prevent this type of fraudulent misconduct from happening again. As Arthur Middlemiss points out in his latest for Bloomberg Law, colleges will no longer be able to simply express remorse over a bribery scandal and walk away unscathed. “If schools ignore these risks and refuse to build intelligent controls,” he writes, “they face a real danger that the next time a scandal explodes, the prosecutor or regulator, or the court of public opinion, may determine that the word ‘unwitting’ no longer describes their involvement.” Shame on the parents for their crimes against the schools’ admission process this scam revealed. Shame on the schools themselves if they don’t rejigger the application process to protect against this scam. Implementing — and most importantly, executing on — an effective compliance and ethics programs will be the only way for colleges to avoid exposure to liability or prosecution by officials who are unsympathetic to such “unwittingness.” Several colleges have already implemented measures in the wake of the scandal, and many more will be designing new risk avoidance and compliance measures over the coming months. These programs will require administrative officials to assess their risk, implement new operational controls, and work with leadership to ensure a similar scandal doesn’t befall their collegiate communities in the future. My colleague Laurel Gift, Esq., a former prosecutor at the Schnader law firm in Pittsburgh, posted a list of proactive steps for institutions of higher education to consider in real time – i.e., now (review records of students receiving extra time on admissions exams; scrutinize athletic recruits’ admission files; audit whether athletic recruits actually played their sport in college; review overall admissions policies and procedures for weaknesses; conduct internal investigations where ‘red flags’ indicate possible improprieties). Admission decision processes are as varied as are the institutions, valuing to a greater or lesser degree admissions test scores, GPAs, extra-curricular activities, recommendations, athletic ability, relationship to alumni, diversity (of all types), in-person interviews, and more. 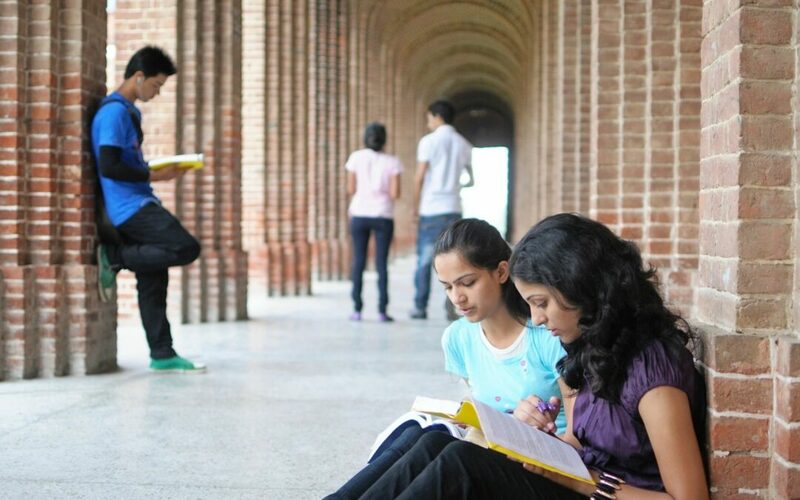 At a more fundamental level, admissions testing authorities, educational institution accreditors, guidance counselors, and the institutions of higher education themselves – who have wrestled for the better part of half a century or more over who to let in to their colleges, and how to identify them – must continue to wrestle with greater intensity, and hopefully, diligence. In the end, as my wife’s experience teaching at an elite Ivy League school showed, you can always tell the ‘legacy’ students from the ones who matriculated on their own merit. There’s always the old-fashioned way of securing your kid’s spot in a certain college: donate a boatload of money. Only the super-rich can do it, and it certainly isn’t fair – but it isn’t illegal either. In addition to defending entities from white collar crime, the Grail Law Firm has worked with dozen of clients to develop proactive initiatives and compliance programs, especially in response to discovery of ongoing improprieties. Contact the Grail Law Firm to learn more.